Our students represent a lucrative target audience. Companies bombard them daily with ads through every possible venue, so much so that most advertising is now an integral, barely noticed part of the American landscape. And there's the rub. Barely noticed, yet there, exerting a powerful influence on how children choose to buy, think, and act. In previous posts I've discussed persuasive writing (Convince Me: Real-Life Uses for Persuasive Writing and So What’s Your Point? Persuasive Writing Using Picture Books) as well as financial literacy (Dollars and Sense for Students). Now Scholastic has teamed up with the Federal Trade Commission to combine these two ideas, plus the concept of media literacy, to produce the Admongo site and its related teacher resources. Who is responsible for the ad? What does the ad want me to do? While I personally used authentic ads that children know (and strangely love), I appreciate that this program offers fictitious yet genuine-looking ads and videos for classroom discussion. The advantage to the fake ads is that children can't assume they know the product and its merits; students definitely paid closer attention to the details. So why study advertising? There is perhaps no better real-world use of critical thinking and reading skills than the accurate interpretation of mainstream media. Because so many of our daily thoughts and actions are based upon what we're told to believe, it's imperative that we become more educated and discerning in our media consumption. 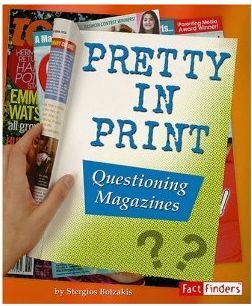 Media literacy allows students to put discrete reading and writing skills to work as they learn advertising's tricks of the trade. Co-Co's AdverSmarts: An Interactive Unit on Food Marketing on the Web is "an interactive unit designed to help kids between the ages of 5 and 8 recognize the marketing techniques used on commercial web sites that target children." 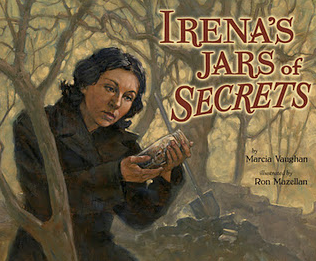 I'd use this site for the younger set (up to fourth grade). Dove Campaign for Real Beauty is an intelligent and innovative program aimed at helping girls understand that self-image isn't dependent upon media messages. While you're at that site, be sure to check out the teacher resources. One terrific companion book for the classroom is Made You Look: How Advertising Works and Why You Should Know by Shari Graydon (Annick Press). 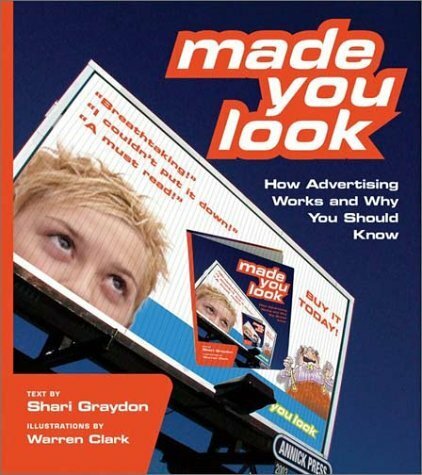 For older students, this book is a terrific expose of how persuasive writing is used to influence consumers. It's also a pretty cool "idea book" for putting persuasive writing skills to work. For younger students, Do I Need It? Or Do I Want It? 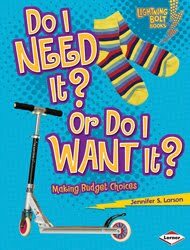 by Jennifer S. Larson (Lerner) is an attractive yet informative choice, allowing opportunities for lots of discussion about what we choose to buy and why. (Be sure to check out other titles in Lerner's Exploring Economics series). Who made the message and why? How might others view the message differently? What is left out of the media? How does the message get and keep my attention? 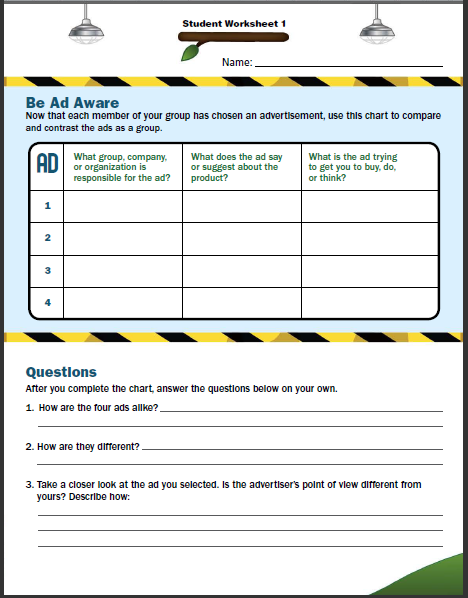 An easy to read style, plenty of photos and illustrations, and try-it-out activities help students see that advertising isn't entirely about "going over to the dark side." Students instead realize that persuasive media offers many opportunities for creative people who are up to the challenge of getting messages across to audiences in the most effective ways possible.